YouTube channel Parabellum Arms shows of this amazing home-made rubber band gun modeled after the M41A Pulse Rifle wielded by the Colonial Marines of the Alien franchise. The gun was developed over two different iterations, which feature an underslung pump-action rubber band launcher (w/ faux shell ejection), and a main rubber band launcher that can feed from detachable magazines, and is capable of both semi and automatic fire (with a rate of fire of 900 rounds per minute). The M41A also features ambi sling mounts, and a telescoping stock. You can check out more of Parabellum Arms’ creations on his YouTube channel, and buy plans of the guns via his Etsy shop. This post from SSD shows off a line of impressive kids playsets from Kombat.UK, mostly available in British Terrain Pattern (British MultiCam variant). 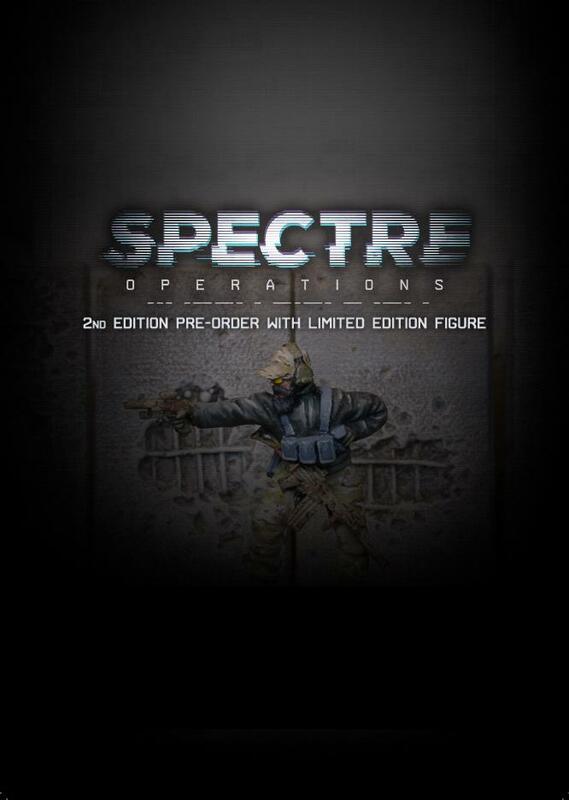 Spectre: Operations 2nd Edition is a miniature-based tabletop wargame that is currently up for pre-order direct on the creator website. Designed for 2+ players, the game is designed around the use of 28mm miniatures, along with vehicles, the design of which was meticulously researched and supplemented with advice from military consultants. Additionally, all pre-orders will receive a limited edition operator miniature along with the rulebook. Truthfully, I’m not much of a fan of Playerunknown’s Battlegrounds, or Battle Royale games in general, but I do recognize their popularity. 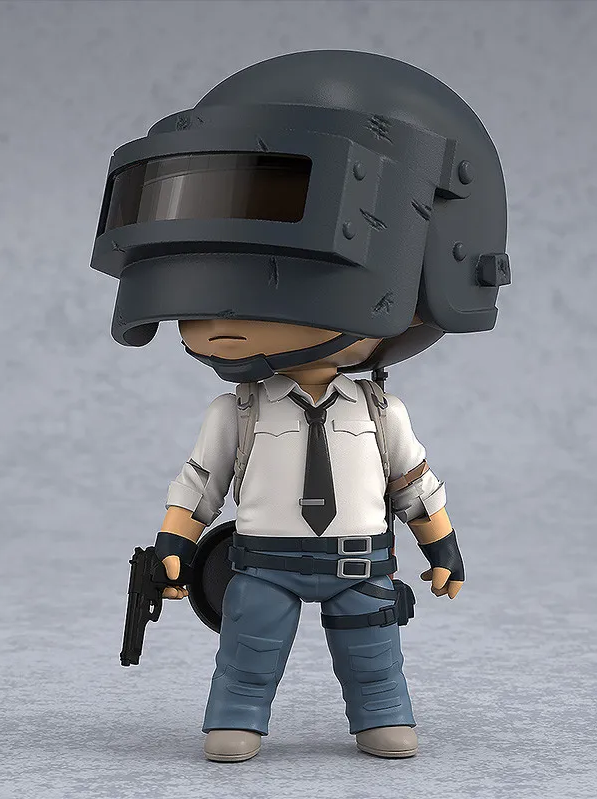 That’s why this Nendoroid of The Lone Survivor, the faceless character of PUBG’s key art, caught my interest. A Nendoroid, for those who aren’t familiar, is like a Funko POP! figure, but better, because they’re more detailed and poseable, with multiple points of articulation. Such is the case with The Lone Survivor Nendoroid, who not only comes with the aforementioned articulation, but also has a helmet with a flip-up visor, and an AK, M9, and Frying Pan as accessories. It’s currently available for pre-order from the Good Smile Company, with a planned release of September, 2019. The Goonies is a classic 80’s adventure film that I’m sure most of my readership is familiar with. If you’re not, now you know about it, so watch it; it’s entertaining, honest. NECA, noted manufacturers of toys based on movies (and games, and comics, and tv shows, etc.) 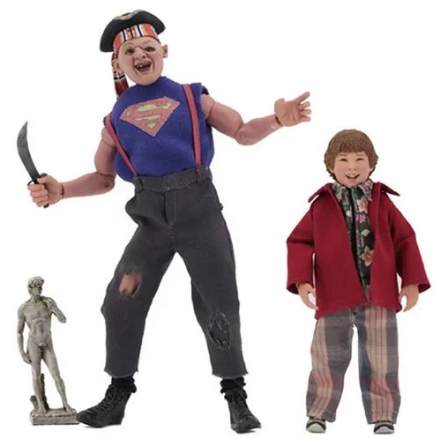 is releasing a 2-pack of Sloth and Chunk from The Goonies as part of their clothed action figures line. As implied by the name of the line, the figures come with cloth outfits; Sloth is 8 inches tall with a pirate’s knife and hat, and Chunk is 5 inches tall with a pirate hat and replica David statue with a bit of… movie-accurate anatomical damage. This set is scheduled to release September 2019. 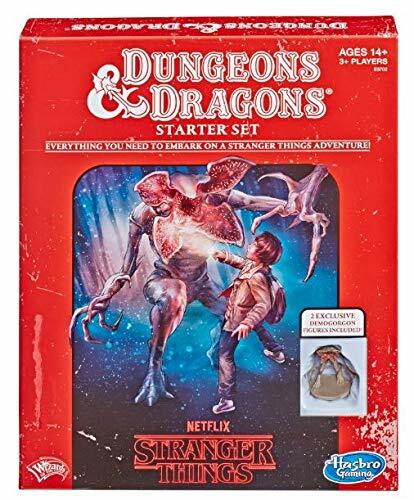 This is one of those licensing deals that’s pretty darn logical, and pretty cool to see become a reality; a D&D starter set that’s based on Mike’s ‘Hunt for the Thessalhydra’ adventure from the first episode of Stranger Things. The set consists of a rule book, adventure book, and game dice, along with pre-made character sheets from the episode, although players can use blank sheets to create their own characters, if wanted. The set will also include 2 Demogorgon figures, one pre-painted, and the other one blank and ripe for customization. The Stranger Things D&D Starter Set is set to release on May 1, 2019. 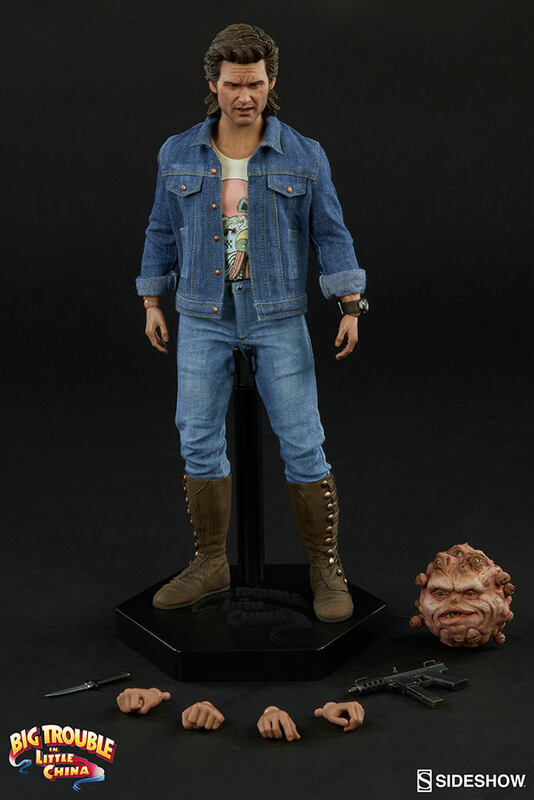 Sideshow has released a lot of awesome figures over the years, but in my (extremely biased) opinion, this one is easily one of the best: the 1/6 scale Jack Burton from ‘Big Trouble in Little China’. Coming in at 12″ in height, this highly-detailed figurine features a lifelike Jack Burton headsculpt (complete with mullet), multiple points of articulation, and some truly-impressive, movie-accurate clothing details, such as the laces on his boots, the included denim jacket, and even the stitching on his watch cuff. 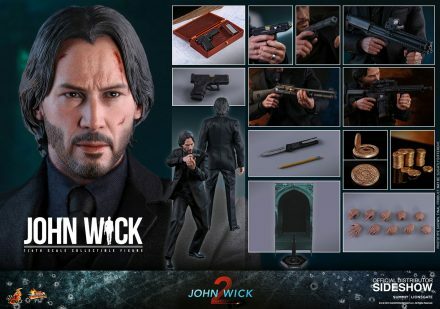 The figure comes complete with Jack’s semi-auto TEC-9 pistol, Gerber TAC knife, multiple hand configurations, and a “Guardian” accessory figure, AKA the floating eyeball creature. This figure is limited to 1500 units worldwide, and is available exclusively through Sideshow’s website. If you’ve ever had a strong desire to own a life-sized T-800 Endoskeleton model, then Chronicle Collectibles has you covered. 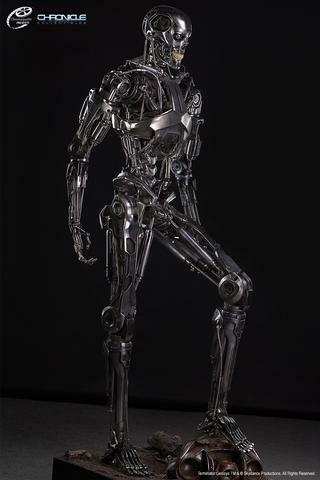 Coming in at an impressive 78″ in height, the T-800 Endoskeleton model is based on its apperance in Terminator Genisys, and is based on both the original production molds, and digital files used for the film. Each figure will be custom made by hand, and features custom chrome plating, red LED eyes, and a removable brain chip, as well as limited articulation in the forearms and fingers. The Terminator Genisys T-800 model is currently available for pre-order, and will be limited to 100 pieces. 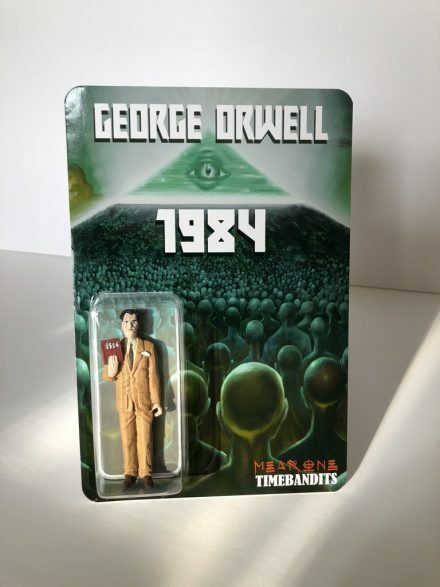 TIMEBANDITS Watches, who true to their name makes watches, but also dabbles in ‘art toys’, has released a limited run George Orwell 1984 figure. Designed in collaboration with Mear One, this figure depicts 20th century author George Orwell holding a copy of arguably his most well-known book, ‘1984’. 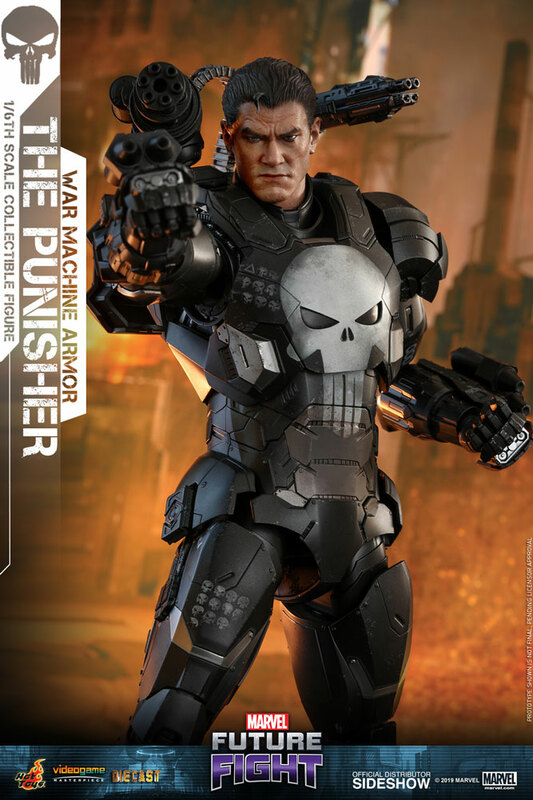 This figure is limited to 33 units, and each is hand made and painted in Los Angeles, CA. UFO (pronounced you-foe, not you-eff-oh) was a British television series that premiered in 1970, detailing the efforts of the clandestine organization SHADO (Supreme Headquarters, Alien Defence Organisation), to defend the Earth against alien invaders. Not only is the premise great, but it also had an excellent opening theme. 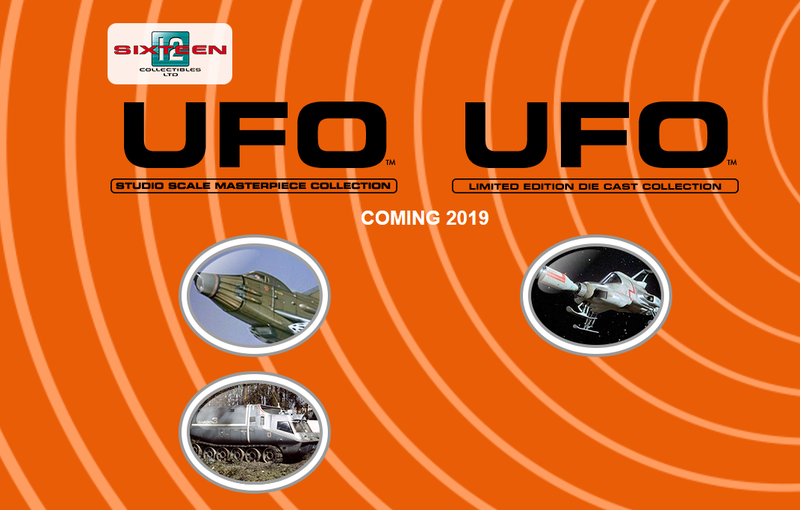 In celebration of this classic TV show, Sixteen 12 Collectables is releasing a series of three collectable models of vehicles from the show: the Sky 1, S.H.A.D.O Mobile, and UFO Interceptor. The Sky 1 and Mobile are part of the ‘studio scale masterpiece’ collection, built to exacting detail, and limited to only 100 pieces worldwide. 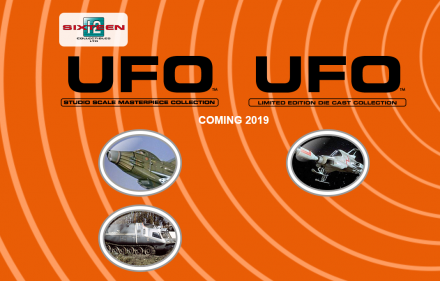 The UFO Interceptor is part of the ‘limited edition diecast collection’ and will consist of three (3) Interceptors per set, and will be highly-detailed in their appearance. The release date for all three vehicle sets is sometime in Fall 2019. 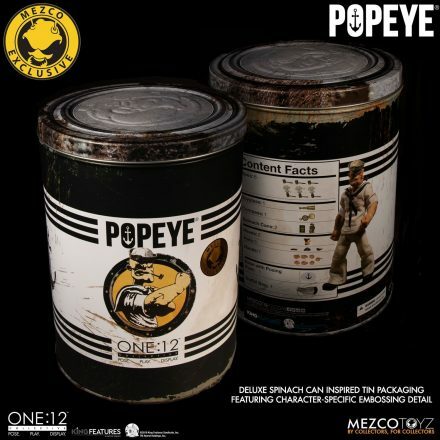 Popeye is the newest addition to Mezco’s One:12 Collective collection, and he’s been rendered in a detailed, more-realistic styling than his typical appearances. As implied by the series name, this figure is 1:12 scale (14cm/5.5″ tall) and features over 28 points of articulation, and two interchangeable head portraits: described as “stern stare” and “salty glare”, respectively. 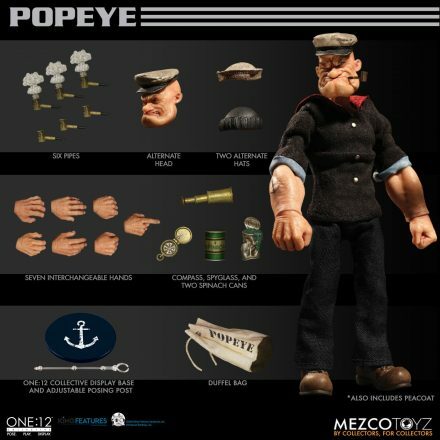 In addition to 7 interchangeable hands, this figure also comes with a cloth sailor’s uniform and pea coat, and the following accessories: a functional drawstring duffle bag, a collapsible spy glass, a compass with hinged lid, two spinach cans, three different hats, and two styles of corncob pipes. 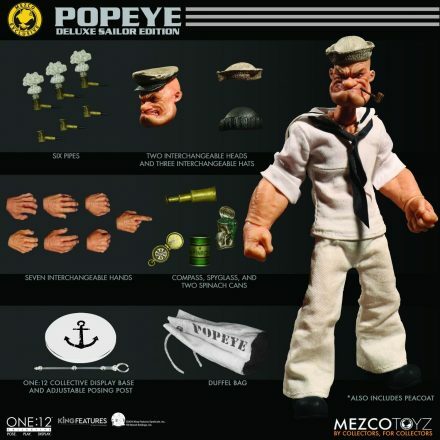 For those who are more enamored with Popeye’s classic look from the 1940s to 1960s, Mezco is also offering a special edition variant of the figure in his classic Navy whites. Aside from the uniform change, this variant comes with all the same or equivalent accessories, but also comes in a special themed container that’s modeled after a can of spinach. TMMX Vancouver’s Marshmallow Crossbow is pretty self-explanatory: it’s a crossbow that’s designed to shoot marshmallows. 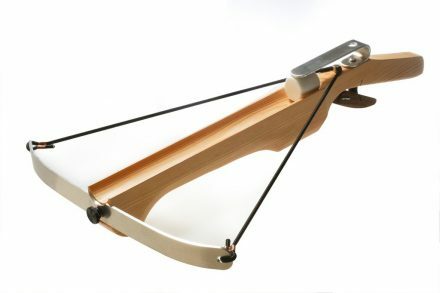 Capable of firing dry, regular-sized marshmallows up to 60 feet, the Marshmallow Crossbow is made of “over 99% natural materials”, and looks pretty darn cool. The makers also recommend using corn starch on the projectiles for smooth firing, but also to produce a puff of “smoke” when fired, and also as a way to mark your targets. If you’re a fan of Fallout, and pricey, highly-detailed collectable figures, then you may want to give threezero’s X-01 Power Armor figure a look. 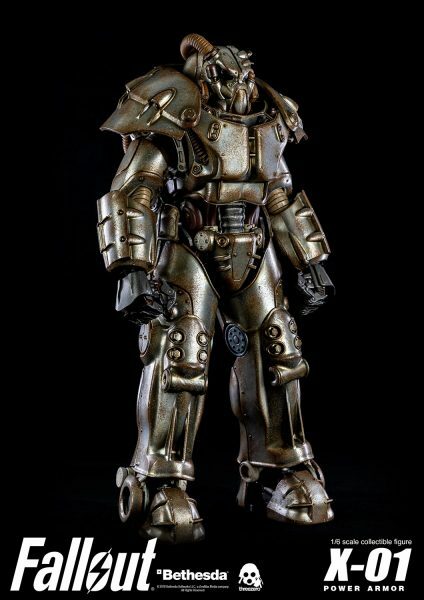 Standing in at 14.5″ tall, the X-01 Power Armor figure features 35 points of articulation, a highly-detailed male head, X-01 helmet with light-up LED function, and an Assaultron Blade. 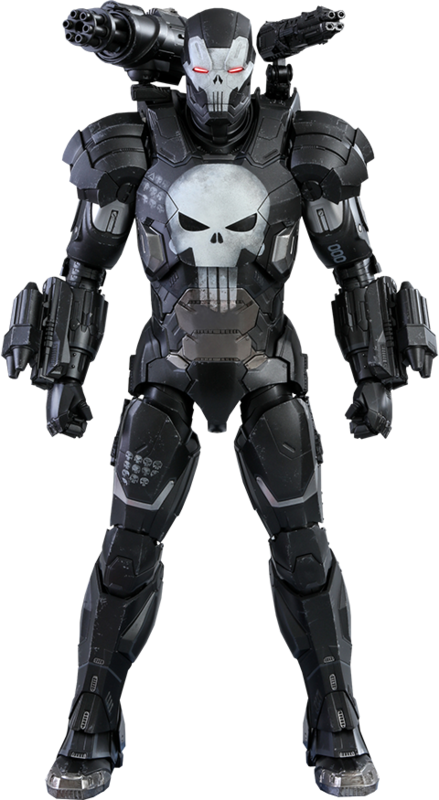 What’s really cool about this figure is the X-01 armor pieces can be complete removed, revealing an equally-detailed endoskeleton. 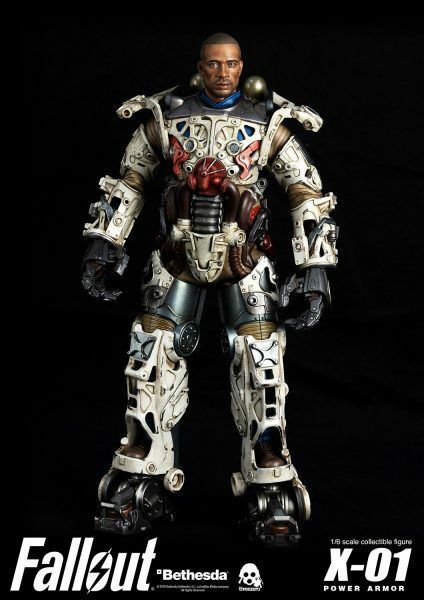 Plus, the armor parts are swappable with all previous threezero Fallout Power Armor figures, so you can make your figure look like your Power Armor in-game, like when you only have three pieces of X-01 armor and have to fill in the empty slots with T-60 and T-51 parts. Not that I’m speaking from experience, or anything. 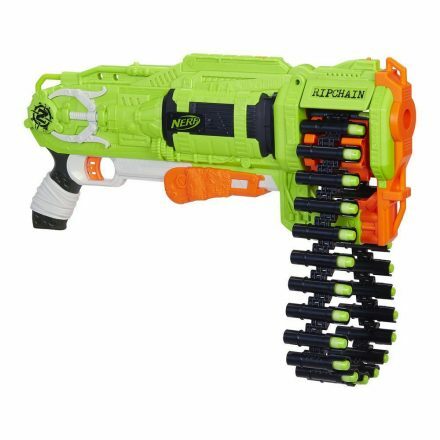 Honestly, the zombie craze peaked years ago, but that doesn’t stop NERF’s Zombie Strike from having some cool blasters, and the Ripchain is no exception. The Ripchain is a fairly bulky, pump-action blaster with the typical ‘Zombie Strike’ aesthetic: neon green and orange body, pistol grip that looks like it’s wrapped with hockey tape, etc. The Ripchain’s namesake is the unique ‘chain’ ammo belt feeding mechanism, which loads up to 25 darts. It comes with 25 of the neon green zombie-themed darts, but can also load any standard-sized NERF blaster darts. But the best part? It has slamfire capability, so you can hold that trigger down and just keep slamming darts away, like a trench gun. The G-SHOCK X Transformers Optimus Prime is a collaboration between Casio Japan and toy company Takara Tomy. It consists of a collectable Optimus Prime figure which stows a color-matching G-SHOCK 6900 watch within its chest cavity. 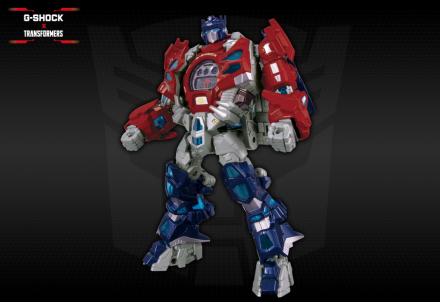 The figure transforms into a pedestal for the watch to remove it, which can be replaced with Optimus’ Matrix of Leadership – known as the Chrono Matrix for this figure. This set is a Japanese-exclusive release, and is retailing for approximately 250 USD. The Cyberdemon Statue, produced by Gaming Heads, and distributed by Sideshow Collectables, is a limited production piece based on the Cyberdemon from DOOM (2016). 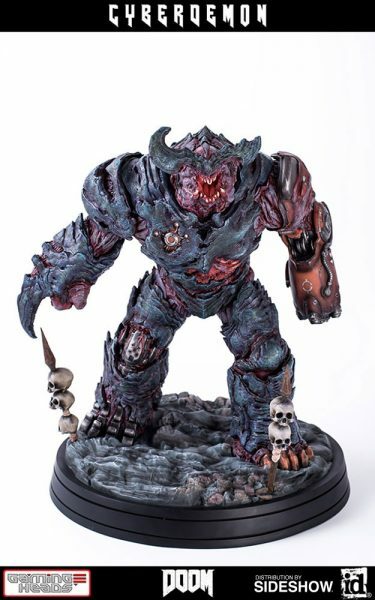 Standing at ~19″ tall, the Cyberdemon is cast in polystone resin and handpainted. This statue is limited to 1000 pieces worldwide, and is slated for an April – June 2019 release. October 4, 2018 – New York, New York – _Echelon Software today announces three new additions to the Black Powder Red Earth® series. First, is Echelon’s first step into miniature wargaming. Partnering with Spectre Miniatures, the _Echelon team has specced a chalk of Cold Harbor Assaulters for play in the Spectre Operations tabletop modern war game. These 28mm miniatures are based on Ember QRF teams depicted in Black Powder Red Earth Yemen and have been modeled to the exact specs of these assaulters. The anticipated release date of the set is Black Friday, 2018. Steve May, of Spectre said, “We are very excited to be part of bringing BPRE into the world of tabletop gaming.” _Echelon could ask for no better partner than Spectre, who’s miniatures we’ve used in play since the brand launched in 2014. Continuing with this thread, the _Echelon team is now designing a co-operative PVE board game focused on the application of small unit tactics in asymmetric urban warfare. With a campaign and rule system built from the ground up as an analog for small units working in non-permissive urban settings, the game is laser focused on creating opportunities for meaningful decisions employing cutting-edge weapons, set in real-world locations with real-world challenges as seen in the Black Powder Red Earth graphic novels and mini-series. Spectre will be developing the miniature component of the game as well as advising on creating a frictionless and natural game flow. Finally, _Echelon has begun development of a Black Powder Red Earth animated mini-series. Conceived of as a 3 episode animated piece, series creator Jon Chang has been researching + developing the scenario since August 2017 with SME’s from US Army Special Operations. As with all BPRE projects, series creators work to insure the missions, tactics and equipment are all kept authentic and that the opponents tactics are accurately reflected. 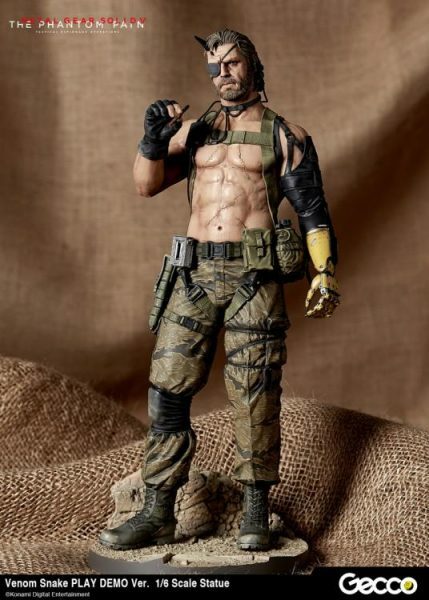 This 1/6 Scale Venom Snake statue is produced by Japanese toy and figure company Gecco, and is based on Venom’s appearance in the TGS 2014 play demo version of Metal Gear Solid V. Measuring 12.6″ in length, this figure is made of PVC and ABS, and features a highly-detailed sculpt with non-removable accessories, barring Venom’s Stun Arm, which comes with replaceable with a default red arm or the blue and orange ‘Hand of Jehuty’. This particular statue is limited to 800 pieces, and is expected to ship April 2019. If the title didn’t already place the thought in your head: ‘Inhuman Conditions’ is roughly a Voight-Kampff test made into a party game, and currently up for funding on Kickstarter. The game consists of an Investigator trying to determine whether the other player, the Suspect, is a robot or human. The Suspect is privately given an identity as a robot or human from the start, along with a role they have to portray that is known to both players, and the investigator has five minutes to determine the humanity (or lack thereof) of the Suspect. It’s already met its funding goal, but it still has 15 days to go at the time of writing. f you’re interested, check out the link below. 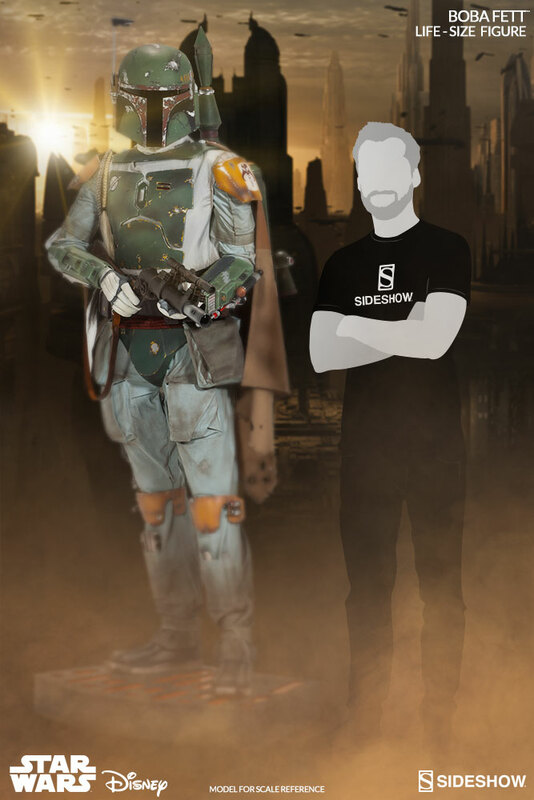 Boba Fett, who’s coolness factor way overshadows the relative ease by which he met his demise in ‘Return of the Jedi’, has been given the life-size replica treatment by Sideshow Collectables, in collaboration with noted prop replica specialists Tom Spina Designs. 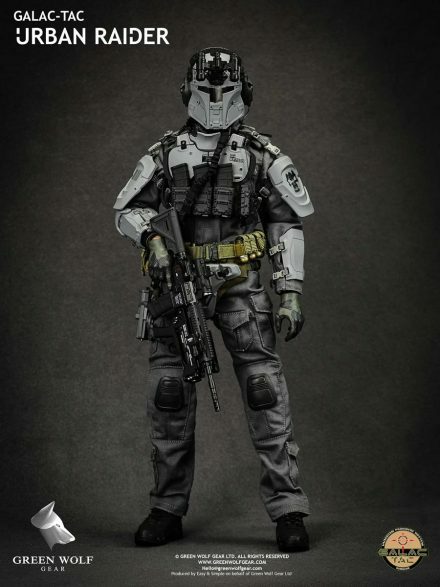 Standing in at over 6 feet tall, ligh up theme base included, this replica features authentically replicated armor, along with an articulated helmet with adjustable rangefinder, detailed fabric costume, light-up chest panel, and braided Wookie scalp; not to mention his weapons and jetpack. Ultimately, who among us wouldn’t want a life-size Boba Fett replica in their possession? The answer is: anyone who doesn’t want to spend $8500 on one. Yeah, the price is pretty steep, but, hey, at least the shipping’s free. 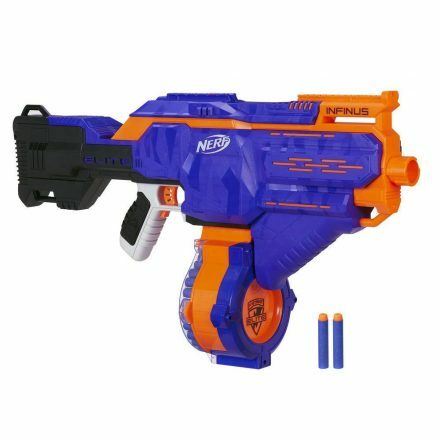 NERF blasters have been getting pretty creative as of late, and the latest edition to the N-Strike line, the Infinus, is no exception. A fairly bulky design, the Infinus comes with a detachable 30-round drum, and has top mounted N-Strike rails for the attachment of accessories. What makes the Infinus unique, and where it gets its name, is the motorized Speed-Load technology which will load individual darts into the drum via a loading port that’s built into the receiver. Check out the commercial below to see this feature in action. 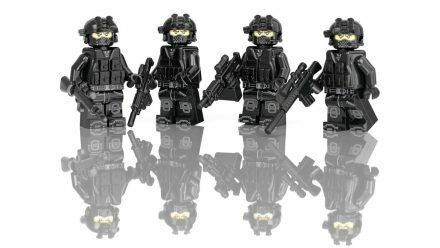 If you’re looking for LEGO-compatible sets based on real-life militaries, then you might want to check out the offerings of Brickmania. 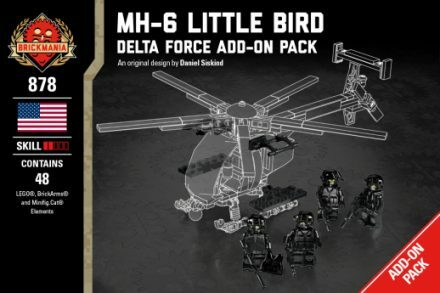 One such offering is their MH-6 Little Bird – Delta Force Add-On Pack. As its name implies, it’s a set that comes with four “custom-printed Delta Force” minifigures, complete with combat vests, ballistic helmets, GPNVG-18 goggles, and a variety of modern weapons: M110, M249, M4, and M21. The minifigures alone are cool enough to function as a stand-alone set, but this is technically an add-on pack for Brickmania’s MH-6 Little Bird set. The man. The myth. The legend. John Wick, the titular main character of arguably the best pair of action movies to come out of Hollywood in recent memory (with a third on the way), is receiving the Hot Toys treatment, with a 1/6 scale figure now up for pre-order, exclusively from Sideshow Collectables. Coming in at approximately 31 cm tall, the John Wick figure features a battle damaged head sculpt with movie-accurate facial expression and detailed hair, beard and skin textures. 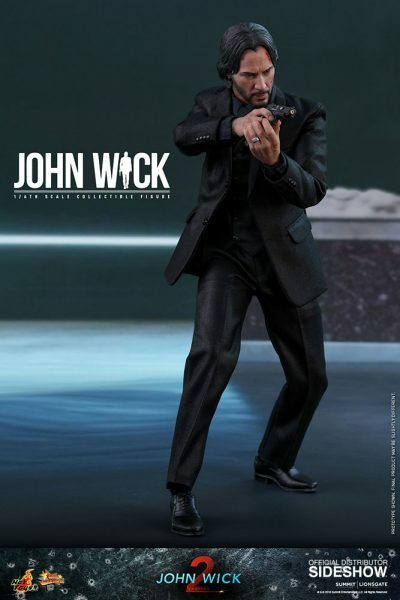 30 points of articulation allows for a variety of poses, such as John’s CAR shooting stance. Also included are 10 pieces of interchangeable hands, two Blood Oath Markers, and gold coins, both individual and in a stack. This figure is expected to ship between July and September of 2019, with a price of $243.